What a busy term and start to the year for Upper School! Year Four have been studying invaders; the rampaging Romans, aggressive Anglo-Saxons and vicious Vikings. They have all made a courageous invasion on Upper School and have truly conquered the top landing. We are very proud. Year Five have been studying people who changed the world; Malala, Mandela and Suffragettes. They have started changing the world themselves, or at least made their impact on Copthill. 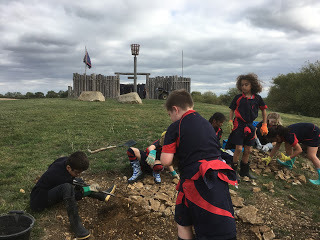 They are now fully in the swing of changing classrooms and tackling their learning like the movers and shakers they are. We are very honoured. There are some BIG topics this term for Year Six; Mountains of the world, Africa’s Big Five and Tall Towers. The children also visited the Warning Zone in Leicester. A fantastic trip raising awareness of risks and consequences in the real world and online as they grow up. 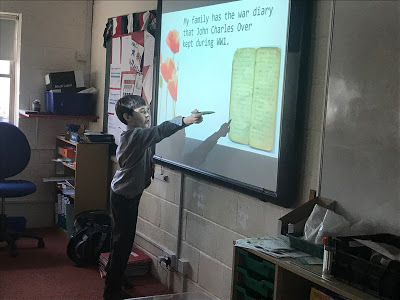 Our larger than life learners have settled well into Year Six life, undertaking their jobs and responsibilities with pride and purpose. We are very thankful. As I sit in Upper School surrounded by paper chains and tinsel, listening to Slade on repeat, we are very merry. Merry Christmas everyone. We had a great afternoon extending the Roman Road, cooking 'hard tack' biscuits to an authentic roman recipe and learning about a trebuchet. Many of the Year 4 pupils have been busy since the beginning of the term doing their Copthill Challenge Scheme folders. So many of them are enthusiastic, committed and motivated to do these which is a credit to themselves, their teachers and to the parents for keeping their spirits high and why putting the best effort they can into anything is an invaluable life skill! 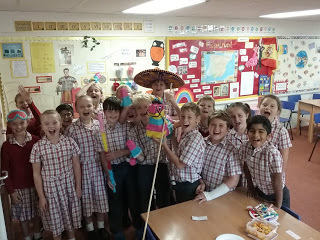 Year 5 have had an exciting time learning about Spanish fiestas. After researching four key Spanish festivals, we had a Forest School session to cook our very own 'Frijoles refritos' - refried bean burgers! We cut the ingredients, learning the Spanish names, cooked them on the fire and then ate them giving our opinions! Muy bien et me gusta mucho! Congratulations to our new Super Six for 2018-19! 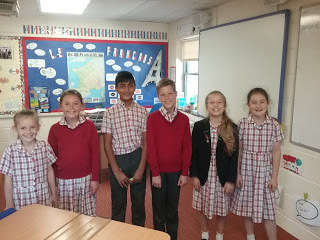 Lottie Parker, Eshan Shah, Owen Nazuruk Wheeler, Holly Potts, Holly Haynes and Flo Cavaciuti. They have been very busy with their first official planning meeting. They have decided to create a French and Spanish recipe book full of their favourite recipes in the different languages. They hope to make these themselves ready to sell at a small price so that the money raised can go to a charity of their choice - buen trabajo!